1. 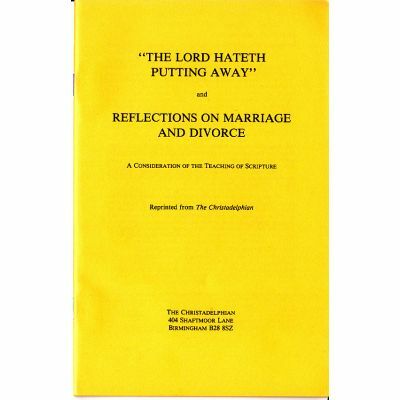 The Lord Hateth Putting Away appeared in the Christadelphian Magazine Committee April 1972. 2. 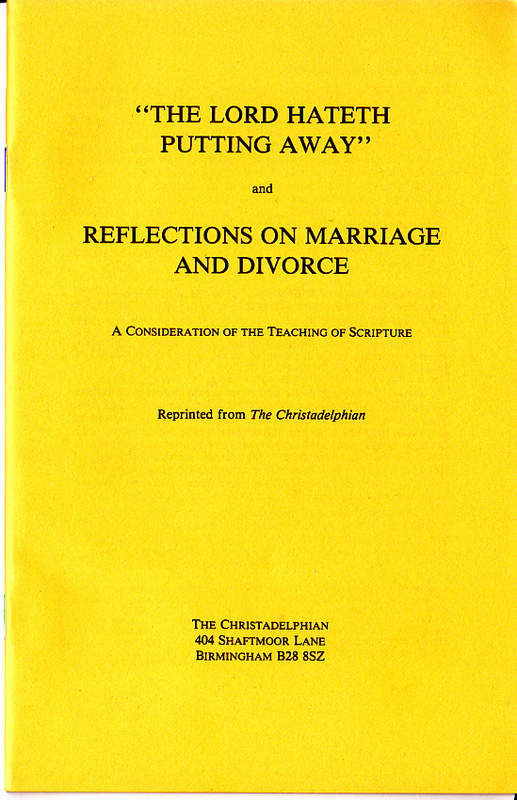 Reflections on Marriage and Divorce by bro. Fred Pearce, published February and March 1976. 36 pages, paperback. Published by the Christadelphian in 1985.